Well, in a no-choice situation, an unexpected “choice” appeared in the form of a Chinese man (Mr Ong of Nibong Tebal; sadhu! sadhu! sadhu!) who heard of my mum-in-law’s plight from my brother-in-law. He introduced us to a wild shrub (Urena Lobata or Congo Jute or Pulut-Pulut) which was used to make asoup/tea for my mum-in-law to drink. That’s the miracle and the reason that she is still alive and well today, we believe. The recipe calls for the stems of the plant to be cut in lengths of 2-3 inches and air- or sun-dried for storage. Take a small fistful (say 5-10 stalks) and boil in 3 bowls of water until 1 bowl left. A piece of lean meat can be added for taste (or as I believe to “balance” the “coldness” of the plant). Drink once a day for a week and observe for any improvement, before continuing. The frequency can be reduced as the condition improves. My mum-in-law now drinks it once a week or even less frequently. The shrub grows best wild (too much care and attention tends to stifle it). Just scatter the seeds (like tiny hedgehogs; 3-5mm brown seeds that will cling to clothings, hair, like velcro) in a quiet corner of your garden and leave them to grow “wild”). 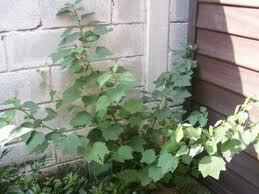 The plant can grow up to 4-5 feet, but can be harvested as soon as it is about 3-feet tall. Just cut the larger stems and let the plant re-grow the branches. Remember to continually scatter the seeds for a steady supply of the plant. Note: there are two types; white or pink flowers. The recommended type is the one with white flowers. We have introduced this to several other people and to the best of our knowledge, it works for them as well.